Aircrew of No. 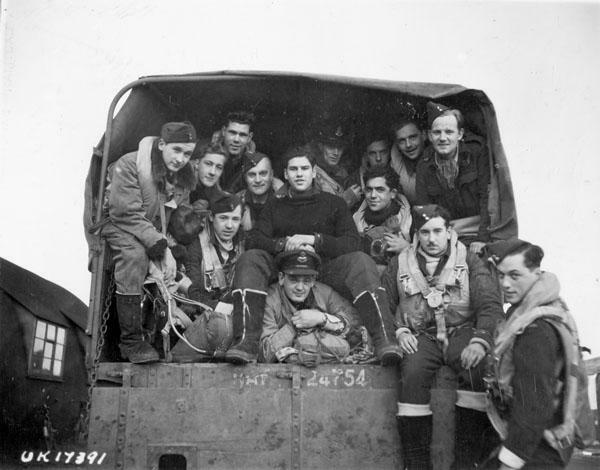 433 (Porcupine) Squadron, RCAF, en route to their Handley Page Halifax B.III aircraft before taking off to raid Hagen, Germany. Skipton-on-Swale, England, December 2nd 1944.